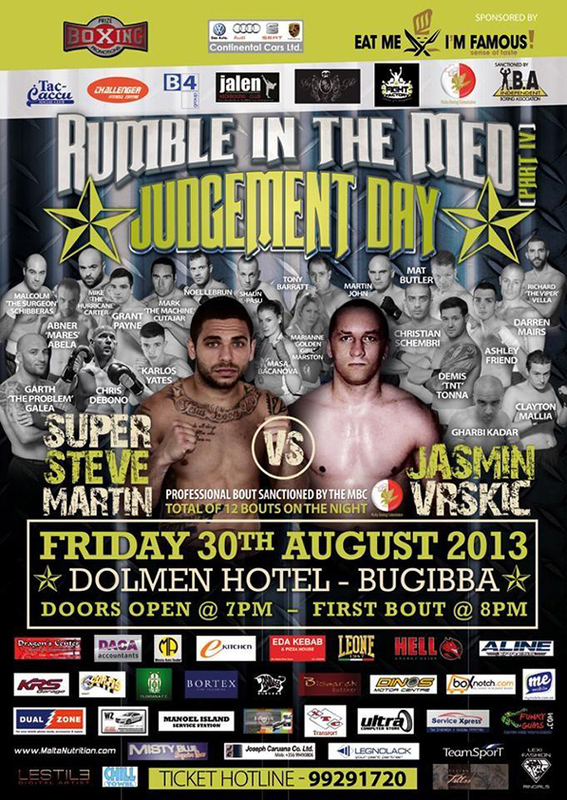 Malta’s reigning WBU International Light Welterweight Champion ‘Super’ Steve Martin and London based Marianne ‘Golden Girl’ Marston co-headline a sensational night of boxing at the Demis Tonna Prize Boxing Promotions ‘Rumble in the Med Part IV – Judgement Day’ event at the Dolmen Hotel and Spa Resort in Bugibba, Malta on Friday the 30th August. Martin, who won the WBU title back in December with a shutout points win over Germany’s Sabri Ulas Goecman, will be making his second outing in just six weeks, having beaten Bosnia’s Adnan Zilic by a third round TKO at the Montekristo Estate back on the 12th July. On the 30th August Martin will be up against Bosnia’s Jasmin Vrskic, who will be making his return to the pro boxing ranks following three years competing in the World Kickboxing series. Martin, who like his co-headliner Marianne Marston, is coached by TRAD TKO Boxing Gym’s Barry Smith will be looking to get another solid win under his belt ahead of his scheduled WBU title defence at the Dave Murphy Acourtier Events promoted ‘Night Of Champions’ mega event at the York Hall in London on Friday 4th October. Woolwich, London based Marston, who became the first professionally licensed female boxer by the Malta Boxing Commission in August 2011, is the exciting protégé of the late, great Heavyweight Champion of the World Smokin’ Joe Frazier. Back in April Marston scored a sensational first round stoppage win over Hungarian #1 ranked Gabriella Roman, at the York Hall in London. Marston will also be looking for a good result, against Bosnia’s Masa Bacanov, on the 30th August, as she too will be competing on the fourteen bout card at the ‘Night of Champions’ event in London on the 4th October. Both Martin and Marston’s professional bouts will be sanctioned by the Malta Boxing Commission, with the twenty fight semi-professional undercard being sanctioned by the IBA. 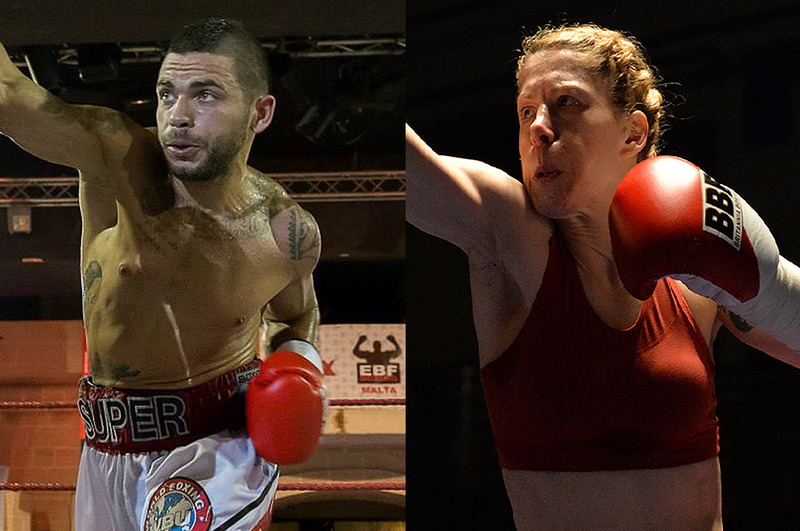 ‘Super’ Steve Martin versus Jasmin Vrskic and Marianne ‘Golden Girl’ Marston versus Masa Bacanov co-headline the Demis Tonna Prize Boxing Promotions ‘Rumble in the Med Part IV – Judgement Day’ event at the Dolmen Hotel and Spa Resort in Bugibba, Malta on Friday the 30th August. Tickets, priced €15 (Standing), €17 (Gallery seated) €20 (Silver VIP) €25 (Gold VIP table), are available on-line at www.tkoboxoffice.com & www.mariannemarston.com or by calling 00 356 99291720. For further information on the event or the Malta Boxing Commission please go to www.maltaboxingcommission.com - follow the Malta Boxing Commission on Twitter: @MaltaBoxingComm as well as on FaceBook and LinkedIn.